Five years ago I fell in love with a book. Yes, I happen to fall in love with books quite often, but still, this was a very special book. 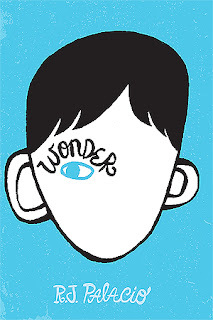 That book was RJ Palacio's Wonder. 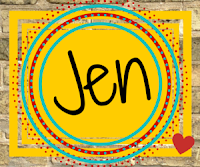 Kellee and I reviewed it here on the blog but I shared why I love Wonder so much in my blog post: Wonder Reminds Us That Kindness Makes the World Go Round. I can't believe it's been five years since I fell in love with this book. I've recommended it to so many people and last year my oldest son and I read it together. I've waited five years to read it with him and I'm so glad he loved it as much as I did. In fact, his fourth grade class is reading it aloud now and it makes my heart so happy to know that the kids in class get to know Auggie and his story. When I was a teacher, I worked with kids who were deaf or hard of hearing like Auggie. Sharing Auggie's story with my student Michelle was one of the best experiences of my teaching career. I loved sharing books with students and getting them excited about books I thought they might like but connecting Michelle to Wonder changed my life. So often we talk about books being mirrors and windows and doors and Wonder was such a book for Michelle and her family. I'll never forget listening to Michelle's mother tell RJ Palacio how she did such a good job of bringing Auggie's story to life that it felt so similar Michelle's life. That experience will forever remind me how important it is to know students, know books, and connect them to each other. Michelle was recently interviewed by Chris Ulmer from Special Books By Special Kids. He originally hoped to publish a book of kids with special needs and their stories but has shifted instead to video interviews that he shares on his website, Facebook, YouTube, and Instagram. Here's Michelle's interview! I'm so lucky to know Michelle and I love that more people will get to know her thanks to Chris and his work. She is as absolutely awesome in this video as in real life. She's just so fun. I love watching Michelle's interview and the other videos Chris posts and I hope you enjoy them too. Every time I watch one of the videos, I remember how amazing life is and how we each have something to offer to this swiftly spinning world. Also, in case you missed it, the movie Wonder will be out this fall. If you haven't read the book yet, now is a great time so you can read it before the movie! And if you have read it, do you still love it five years later just like me? I'd love to hear your thoughts. Posted Blog Tour and Giveaway!